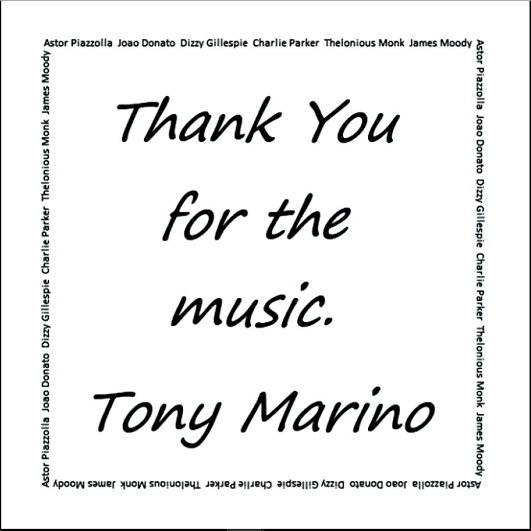 Originally from Philadelphia, composer and pianist Tony Marino has built a strong following as a result of his lifelong love affair with music. Marino began studying the piano in first grade at St. Monica’s elementary school. A youthful Marino would later immerse himself in various musical genres before finding a home in Latin jazz, even learning from such greats as Mark Soskin and Laurence Hobgood to name a few. Thank You For The Music features seven original Latin Jazz compositions dedicated to Astor Piazzolla, Joao Donato, Dizzy Gillespie, Charlie Parker, Thelonious Monk, and James Moody. Marino has managed to skillfully weave together an offering that serves the life of the genre. Astor’s Prologue is the first track on the album and exemplifies the work of Argentine tango composer, Astor Piazzolla. This selection proves to be an impressive opener where Marino is able to brandish his skills as a pianist while visiting the world of the Tango Nuevo movement. 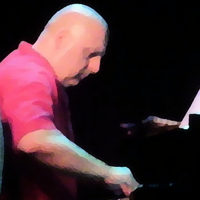 Following Astor’s Prologue is Mr. Donato, a track dedicated to Brazilian pianist Joao Donato. Brilliantly, Marino is able to transport listeners to a nostalgic time when bossa nova ignited dance floors. Mr. Donato’s warm inviting sound is a sure favorite. Charlie Parker is the third track on the album and a masterful ‘bebop’ offering by Marino, who is able to intellectually paint the sound of Bird through intoxicating instrumentation. While not an easy task to accomplish, Charlie Parker proves to be a gem from Thank You for the Music’s treasure chest. A salute to musical genius Dizzy Gillespie, Dizzy’s Moods is an enchanting tune filled with an exotic colorfulness. It is truly a masterpiece! Just when you thought it couldn’t get any better, we are led by Marino into the world of Thelonious Monk with the composition Monk Island. Marino washes all doubts ashore with Monk Island’s unique blend of bebop and improvisation. Moody, a composition dedicated to flutist and saxophonist James Moody, successfully captures the creative expression of this jazz legend. Marino is able to build a transcendental landscape in a memorable dialogue between the sax and flute. The album closes with Astor’s Epilogue, a rich and endearing composition that nicely completes a musically rich journey led by Marino.